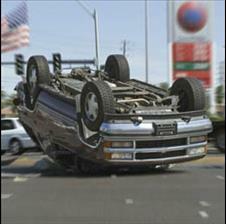 If I Am Injured In A Car Accident, Do I Need An Attorney? In most cases an attorney will maximize your recovery, putting more money in your pocket at the end of the day. First and foremost, a lawyer can advise you of your rights and obligations under the law. Make no mistake about it, insurance companies, hospitals, and most medical treatment providers are businesses first. They are concerned with the bottom line and are looking to maximize their profits and minimize their losses. Unless you fully understand your rights and how to assert them, you will not receive the full value of your property loss, damage to your car, and the injuries you sustained. Worse, you may not receive the actual medical attention you need to be as healthy as possible again. All too often injured persons are short-changed by quick settlement without fully understanding all that they are in need of and entitled to. If you have a skilled attorney representing you, the at fault party will recognize this and you will get better results more quickly. All too often injured persons are short-changed by quick settlement without fully understanding all that they are in need of and entitled to. Furthermore, a lawyer can help you negotiate complex issues such as determining which insurance policies may be applicable and how you can potentially stack those policies, negotiate medical liens and subrogation issues and ultimately settle your claim in a way that will maximize your recovery. Most importantly, however, you need a lawyer with trial experience who can try your case to a jury if necessary in a professional way that is designed to achieve the best possible result. Hiring an attorney will usually get you the best possible result in and out of court. If you have been injured in an automobile accident, a tractor trailer wreck, a slip and fall or an on the job injury, don’t hesitate. Contact the personal injury attorneys at SWWW today.